Scrap Recyclers are encouraged to join the Institute of Scrap Recycling Industries (ISRI) industry wide Safety Stand Down Day on June 24, 2015. See the ISRI web site for useful resources to use as part of your training. These guides will focus on five topics: mobile equipment, lockout/tagout, confined spaces, machine guarding, and fall protection. Non-ferrous metals – aluminum, copper, lead, nickel, zinc and tin – do not degrade during the recycling process and thus can be recycled an infinite number of times. Thus, nonferrous recovery and recycling has become increasingly important – both domestically and globally. According to ISRI’s “Nonferrous Scrap Metal Market Trends” presentation, nonferrous accounted for nearly 70% of total U.S. scrap recycling earnings in 2011. The US annually recycles enough copper to provide the copper content for 25,000 Statues of Liberty. In 2011, the US recycled enough aluminum cans to save the equivalent of 17 million barrels of gasoline – enough to fuel more than one million vehicles on the road for 12 months. A used aluminum can is recycled and back on the grocery shelf in as little as 60 days. 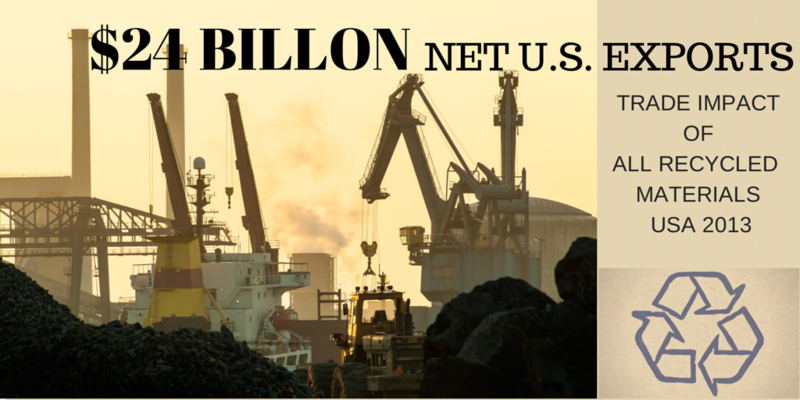 In 2012, more than 9 million metric tons of nonferrous scrap was processed in the US in from various sources – with an estimated value of $49 billion. This scrap is then used domestically –and exported globally to over 100 countries. A $14 billion dollar industry, scrap is exported to China, Canada, Mexico, Japan and others – with China being the number one importer. 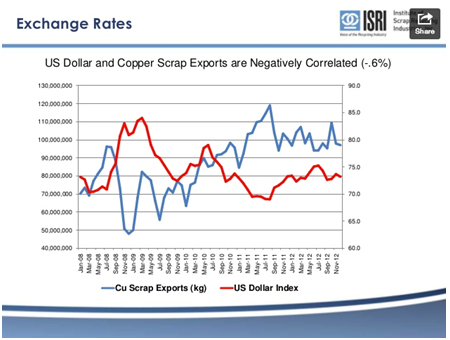 According to the ISRI, from 2000 to 2011, NF scrap exports to China increased from $165M to $3.5 billion. However, while NF scrap recovery in the US is booming, prices have fallen on exported NF scrap due to uncertainties including the US budget and debt ceiling challenges, exchange rate volatility (as seen in the screenshot below for copper), and global demand and supply. The pendulum may be swinging back towards less export / more domestic consumption. USA recyclers want to see domestic consumers return to avoid transpiration, regulatory, currency, and ‘market downgrades.’ As North American manufacturing efficiencies tweak up, domestic secondary metal producers will be right behind them. Recyclers that maintain their flexibility among markets will benefit. They need the largest group of buyers and the most markets to maximize revenue and consistent sales. Strive for quality – be able to produce the next level of quality in short order. The next ‘Operating Green Fence’ can turn a market in short order. Be ready to meet domestic quality requirements when local markets come looking. 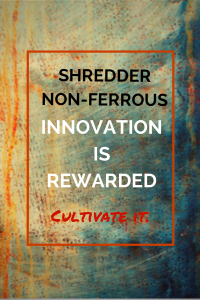 Innovation is rewarded – Tailoring grades to meet local markets develops your niche and often earns you a steady buyer. X-ray sorting your zorba in to cast and sheet grades (making ISRI Grade Tweak) or separating out insulated wire adds value every day. Flexibility will help you overcome disruptions in buyers, logistics, and currency. Our industry association ISRI is calling for all scrap processors to join a major evolution on October 15th: Safety Stand Down Day. In the wake of a tragic stretch of injuries in the scrap processing industry, ISRI is urging all firms to demonstrate their commitment to safety in the workplace by taking at least 1 hour during each shift to engage in safety awareness training. A stand down is meant to be a major statement to all to call attention to the seriousness of the situation and demonstrate your commitment to safety and safe procedures. You must show commitment from the top. Emphasize how the company, managers, and employees will take safe operations to the next level. Many well run and well intentioned processors have had serious incidents recently resulting in fatality or major injury. It could happen anywhere. You are not exempt. At a recent ISRI Chapter meeting President Doug Kramer and Executive Director Robin Weiner addressed their concern for 16 fatalities in the scrap processing industry this year. Analysis supports all could have been prevented by emphasizing employees to follow safety procedures such as lock out tag out, seat belt use, or confined space entry. Their message: common sense is the key to the success of any safety program not only from employees, but also from the people who supervise them. Take ISRI up on its leadership to make a loud safety statement October 15, 2015. ISRI is offering several training guides for use on October 15th should you need them. Check them out here. The Atlantic magazine features an informative story about recycling scrap metals. It profiles the Louis Padnos Company, a generations old scrap metal processor in Holland, Michigan. The story is a good overview of our industry by James Fallows entitled Holland: Where Things Go After the Recycling Bin. Scrap metal recycling is rooted in family run operations all over America. Most of those business continue to evolve in size and scale, with impressive machinery, environmental stewardship, and leading technology. All while maintaining the local relationships, knowledge, and the neighborly approach that built the business over decades. A successful processor operates a large fleet of service and delivery trucks, material handling equipment, and high powered metal shredders, steel shearing machines, baling presses, and sorting equipment. They sell recycled metals on a national and world market, following commodity prices, and trading across time zones. The mix of skills and experience needed the run a recycling business is unique. You’ll enjoy Mr. Fallows profile story above. For a more in depth look, consider Adam Minter’s Junkyard Plant. 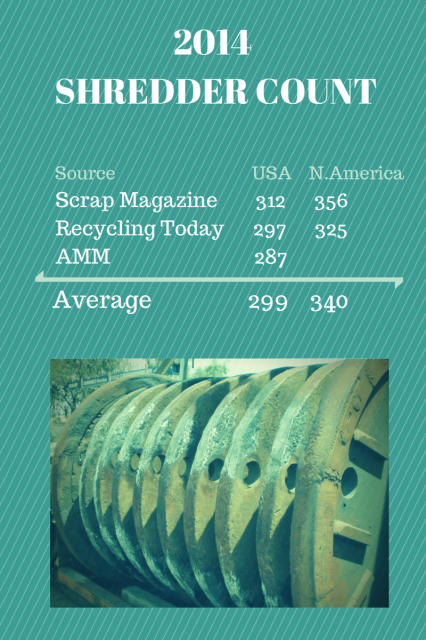 More information on the scrap metal industry can be found at the industry association site ISRI. As we see markets and scrap flow drop, now is a great time to perform the maintenance you don’t normally get a chance to cover as thoroughly. Time to get them cleaned up. Cut all the extra scrap accumulations away from the side to prevent bearing damage. Once they are cleaned it is a good time to check for cracks around the shaft. Build up roller edges. Consider K2 Weld On Feeder Teeth to restore edges and ability to efficiency grab and grip feedstock. For those shredders with welded-in side liner grate supports, now is a good time to pull the grates and check for cracks in the welds to the side walls. Also, build up the supports to make sure your grates fit correctly. Too much of a gap and the grates will bounce during production and cause them to break or warp. Pressure wash it down inside and out. Then check for cracks in the housing. Replace any loose liner bolts which cannot be tightened. Be sure to check your hinge pin bushings, pin, etc. Don’t forget to check your safety retainer pin holes and pins themselves to make sure they are not too worn. You want a snug fit. Schedule a vac and clean for your switchgear, infrared scans for possible problem spots. Drain and clean you liquid rheostat tank if you got one. Wash down air coolers. Change air filter media. Check your upper drive sprockets and replace any missing or worn segments. Look at the reverse side of your flights for wear from the rails it rides on. If you see some deep gouges on the back of the flights, it is a sign it is time to replace the rails. Clear out scrap caught up in the chain and finally take the slack out of that sagging chain. Clean up and consolidate your parts inventory. Find a way to work in parts with a bit a life left in them. Adjust your order times, but don’t hold back too long. As soon as it gets busy, everyone orders. Be on the front end of that upswing. Order earlier enough! These are just a few of the things you can check. A little fresh paint will also do the shredder good. We appreciate all those at the 2011 ISRI show who stopped by to talk wear parts and shredders with us. Thanks for your interest and a great convention. We look forward to helping many of you get wear parts that work harder for you into your machines and increase non-ferrous yields with our K2 Recovery GratesTM.